This page is for those preparing for the RHCSA exam. The information here along with the downloadable VirtualBox virtual machines will help students ready themselves for the exam through practice. No hints are given to what’s on the exam. TIP: Time yourself to complete the process and try it the next day to see how you retain information and improve your performance. Import the virtual machines and then clone them before you try it out. That way, you can always revert back and try again. There are two virtual machines to download; the server and the client. The following shows required settings, credentials and IP addresses. The IP addresses may need to be adjusted for your environment. The server virtual machine has two names; “server.agix.local” and “ipa.agix.local” that must resolve to it’s IP address. The client’s name is “client.agix.local” and it must resolve to it’s IP address. You will need to either configure a DNS resolver for this or edit your “host” files on your workstation, the server and the client. Complete these objectives on the server virtual machine. Bring up the network with the static IP address of “10.0.0.99/24”, gateway of “10.0.0.7” and DNS server of “10.0.0.7”. Configure the firewall to allow access to http, https, NFS, rpcbind and samba. Set the “systemctl” default target to “multi-user” persistently. Change into the new default. Set the hostname to “ipa.agix.local”. Set the timezone to your local timezone. Verify and start the “ipa” service to enable LDAP and Kerberos services. Log into “https://ipa.agix.local” as “ldap1/ldap1” and reset the “ldap1” password. This new password will be used later in the client solution. Complete theses objectives on the client virtual machine. Bring up the network with the correct IP address of “10.0.0.98/24”, gateway of “10.0.0.7” and DNS server of “10.0.0.7”. Set the hostname to “client.agix.local”. Set the timezone to be yours. Extend “centos-root” LV by “8G” and “centos-swap” LV by “1020MB”. Tip, the two additional hard disks are these sizes. Make sure the new swap and root space are fully utilized. Execute “/root/password.sh” and reboot the system. Boot the system and reset the root password using the Grub2 boot options. Join the “client.agix.local” host to the LDAP/kerberos (IPA) system hosted at “ipa.agix.local” with a Base Domain of “dc=agix,dc=local”, a Realm of “AGIX.LOCAL”, KDC and Admin server of “ipa.agix.local”. Test that you can see details of the “ldap1” LDAP user. Create a local group called “mygroup”. 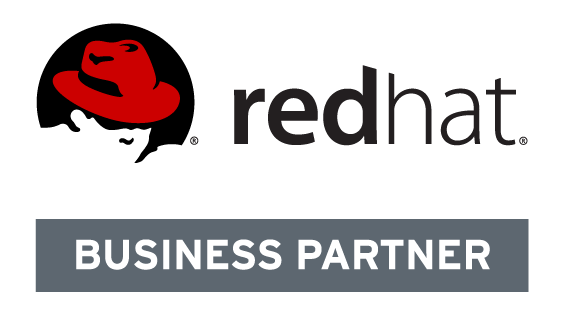 Create a local user called “redhat” and make that user a member of the “mygroup” group. Install Apache, set it to start on boot and ensure that the “redhat” user can publish a web page from “http://client.agix.local/~redhat”. Modify the firewall to allow remote access to the “client.agix.local” host on port 80. Mount the “server.agix.local:/webdocs” NFS export as “/mnt/webdocs” on the client. Set it to mount on boot. Configure Apache to use the new web directory of “/opt/webdocs/html” rather than the default location. Ensure the “ldap1” user’s home directory mounts automatically (using autofs with kerberos/krb5p) on login via NFS where “server.agix.local:/home/” is the source of user’s home directories. Using autofs, mount the “public” CIFS share shared on “server.agix.local” to “/mnt/samba.public” on the client using the “samba” user on the “REDHAT” domain/workgroup. The remainder of this page demonstrates how to solve the process step-by-step. Don’t use it unless you get stuck. verify and make final changes to "/etc/sysconfig/network-scripts/ifcfg-enp0s3"
3. Set and make active the “multi-user” target. 6. Verify the IPA service is running and restart it if necessary. You may need to reboot before this stage. 7. The server is configured. Log into “https://server.agix.local” as “ldap1/ldap1” and change the password to something you’ll remember. You need to use it later in the client-side setup. 4. Add disks to LVM and extend the “swap” LV by 1020M and extend the “root” LV by 8G. 5. Execute the password script and reboot. Reset the root password on boot. Interrupt the boot process at the grub2 screen. Navigate to the latest boot option. Press “e” and navigate to the “linux16” line. Press “control+e” to go to the end of the line. Press “control+x” to boot using the new temporary setting. 6. Configure LDAP and Kerberos client-side services. Use either "authconfig-tui" or "authconfig-gui". 7. Verify LDAP and Kerberos services. 8. Create the “mygroup” group and the “redhat” user and make the new user a part of the new group. 9. Install Apache and ensure it starts on boot. Make sure the “redhat” user can host their own website at “http://client.agix.local/~agix”. Change: "UserDir disabled" to "UserDir public_html"
10. Mount “server.agix.local:/webdocs” as “/mnt/webdocs” on the “client.agix.local” host and ensure it happens at boot time. 11. Set the new web directory for Apache. semanage fcontext -a -t httpd_sys_content_t "/opt/webdocs(/.*)?" Change all occurrences of "/var/www/" to "/opt/webdocs/". 12. Configure autofs to mount the “ldap1” user’s home directory on login using krb5p. 13. Configure autofs to mount “server.agix.local/public” locally as “/mnt/samba.public” as the “samba” user. Verify your work, your done.